Apple announced its next generation New TV at the iPhone launch event in September. Apple opened up advanced orders on 26th October and the new tv's are on their way to your homes this weekend. The 32-GB version is priced $149 and the 64-GB version is $199. The older apple tv's are almost half the price of new ones. The Important features include voice control with siri, apps and wide range content. How siri control is the one that stood out. The new remote control is designed to control your apple tv in two ways, voice and touch. The remote has a glass touch surface and operates via Bluetooth, so you dont have to point your remote at your Apple TV. However this feature will make your remote more power hungry. The remote also features a siri button, you can use it to issue voice commands. Hold the button and ask whatever you want like "show me mystery Tv shows" and Siri will search its entire catalogue and shows you the results. Or you could ask "what did she say" and siri will skip back 15 secs and turns on the captions. Although remote comes with Apple TV if you lost it and want a new one you have to shower $79 just for the remote. So don't lose it. you can buy $13 strap to keep it in your hand. However you can control the TV with your iPhone but it wont be same like your remote. 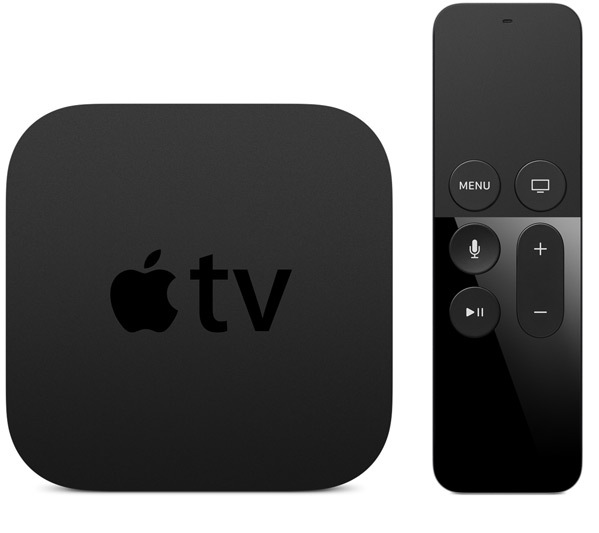 The company is introducing new operating system for the new Apple TV. It is called TVOS and it is based on iOS. Developers can create apps using the same framework as iOS and OS X. However the new tvOS wont run on any current models. We have to wait and watch how the developer community adapts to new tvOS. And for the cons, the new Apple TV can't play the 4k or HDR resolutions videos. The higher cost also drives buyer away towards google and amazon.